I’ll confess – I’ve always found Batman way too dour for my superhero tastes (which are, at best, limited anyway). I much prefer superheroes like Deadpool, Guardians of the Galaxy, Thor in Ragnarok mode and even Iron Man. But Batman? A little too dark and weighed down by his past, I’m afraid. Unless of course, he teams up with Scooby Doo and the gang and then I embrace with him all the fervour in the world since who can stay gravely poker-faced around Scooby, Shaggy and all those Scooby snacks? No one that is! 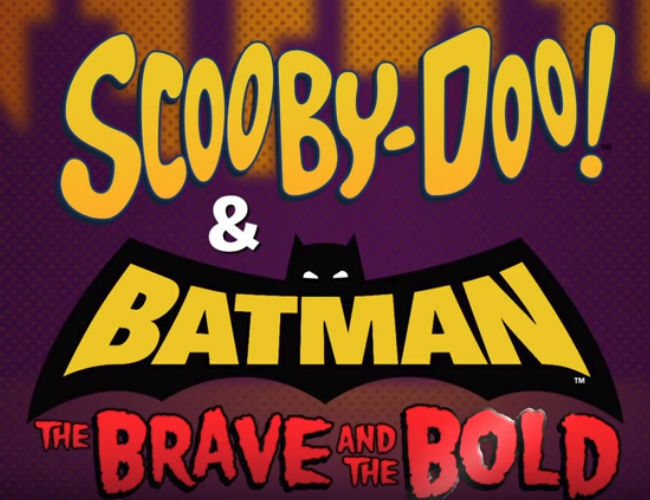 It’s exciting see this team-up, based on an animated series, Batman: The Brave and the Bold, which ran from 2008-2011, since it nicely slots into the tongue-in check feel of the show, one that echoed the deliciously camp, cartoony feel of Batman (1966-1968) and even LEGO: Batman. Throw in the inspired lunacy of Scooby Doo and you have a match made in animated heaven. All the heroes and villains we love so much from both universes will go into super mystery-solving, villainy-busting mode come 9 January 2018 when the film is released via DVD and digital channels.